Washington, DC – Today, the House Appropriations subcommittee approved the FY2019 spending bill for Labor HHS programs, including the Low-Income Home Energy Assistance Program (LIHEAP). The approved bill maintains FY2018 funding levels of $177.1 billion across all Labor HHS programs, although distributions in the FY2019 have changed to target programs that prioritize medical research, public health, biodefense, education, and important activities that help promote job readiness. LIHEAP’s approved funding of $3.64 billion is consistent with last year’s funding levels. 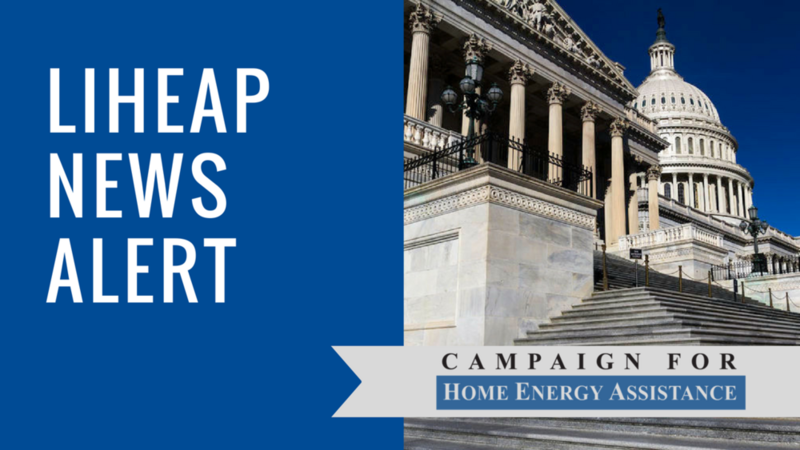 “In a time of redistribution of funds and shifting priorities, we appreciate the House’s shared opinion that LIHEAP is an honorable program worth consistent funding,” said Campaign for Home Energy Assistance director Michael Bracy. The Campaign for Home Energy Assistance applauds the work and energy of key committee members for upholding strong funding for LIHEAP, a vital and efficient national program that provides temporary energy assistance funds to qualifying households, especially those with seniors, Veterans, individuals with disabilities or families with school-aged children, who are struggling with extreme poverty and cannot keep their utilities on during the extreme cold of winter or heat of summer. Current funding levels support about 6.7 million households—a fraction of the total number of households that meet LIHEAP qualifications. The average LIHEAP grant is estimated to cover less than half of the average home heating/cooling costs for households, meaning that many low-income families and seniors have fewer resources available to meet other basic needs. The House’s FY2019 funding decision enables LIHEAP champions and advocates to continue their efforts to get LIHEAP funds to those households who need it most. The Campaign will continue to engage with policymakers on Capitol Hill and LIHEAP advocates across the country to educate individuals, families and lawmakers about the importance of LIHEAP for many low-income families. For the latest news and information on LIHEAP, visit www.liheap.org.